Born in Topeka, Rudolph Gaines went on to serve in both World Wars. According to his draft card, he lived on NW Laurent Street and was born in North Topeka. 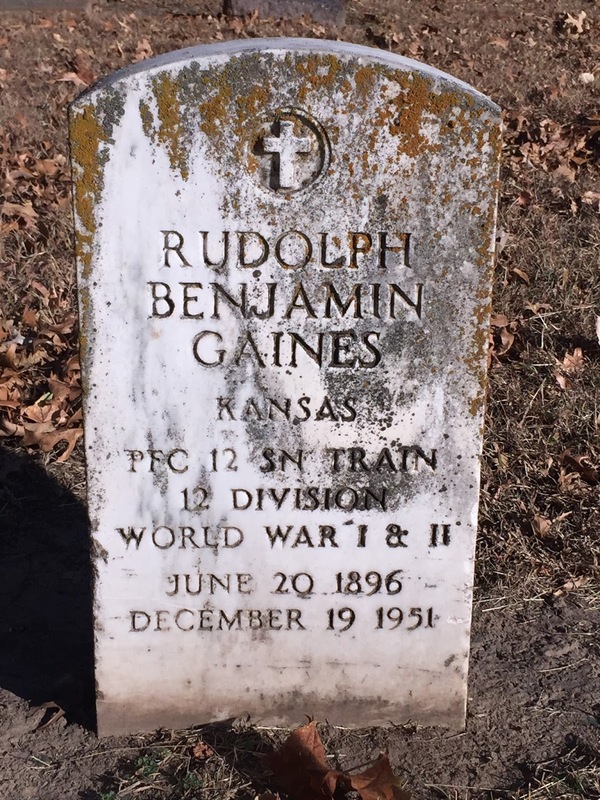 Gaines worked on the Sanitary Train which was responsible for medical care for the entire division through ambulance and camp infirmaries. Gaines' signature on his World War I draft card.